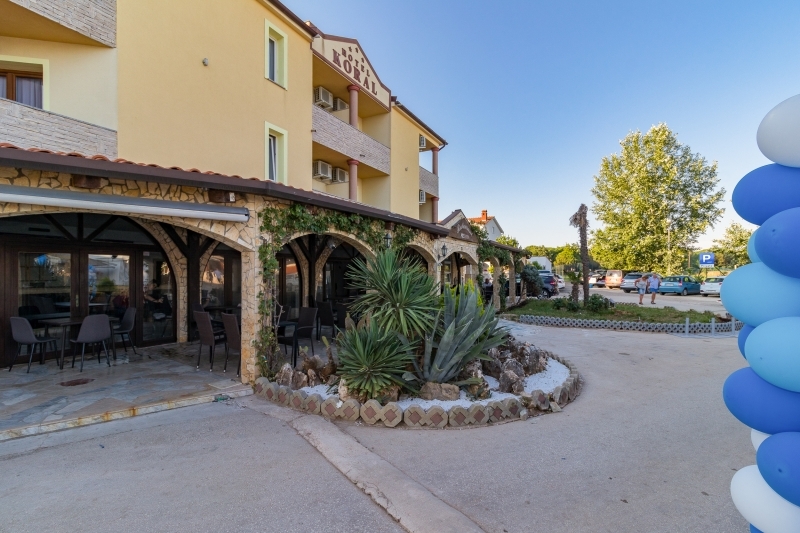 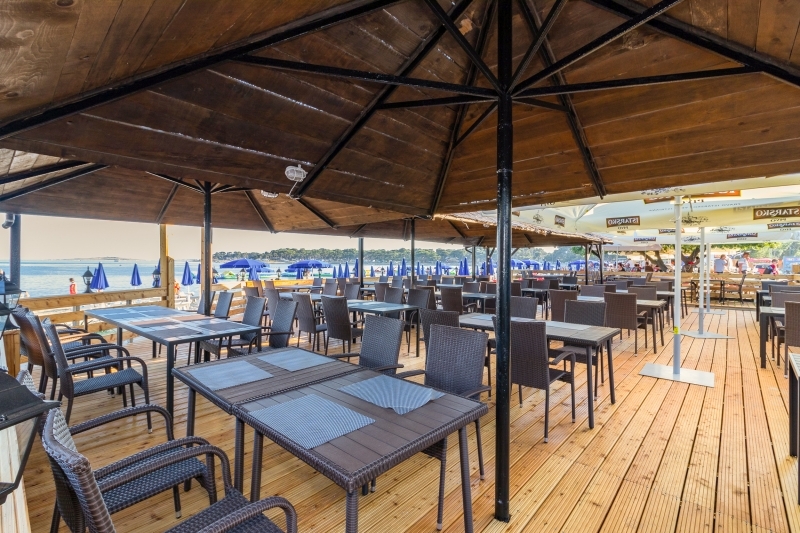 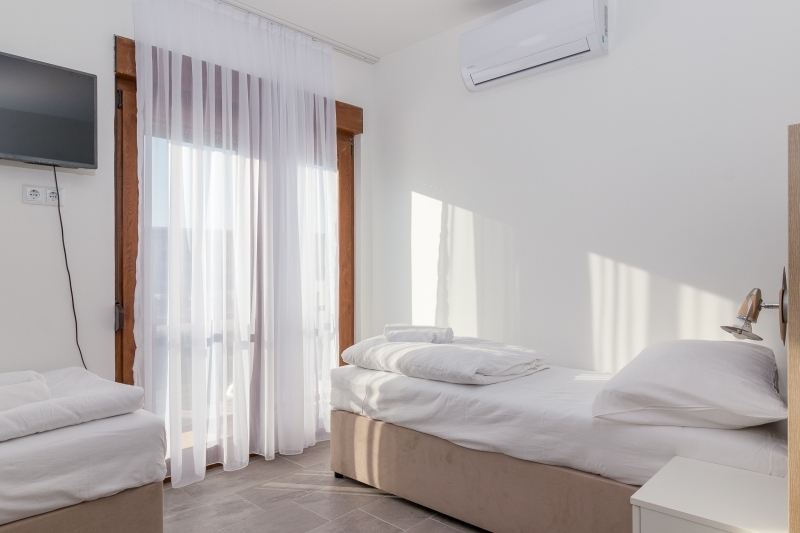 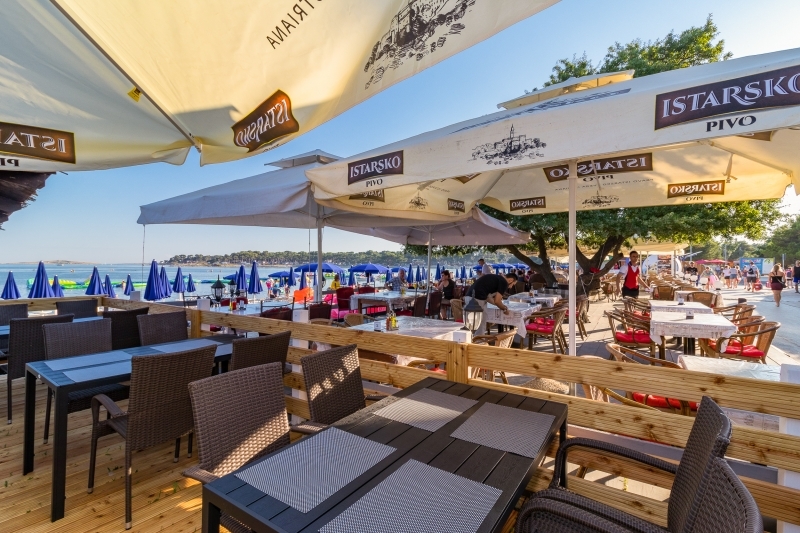 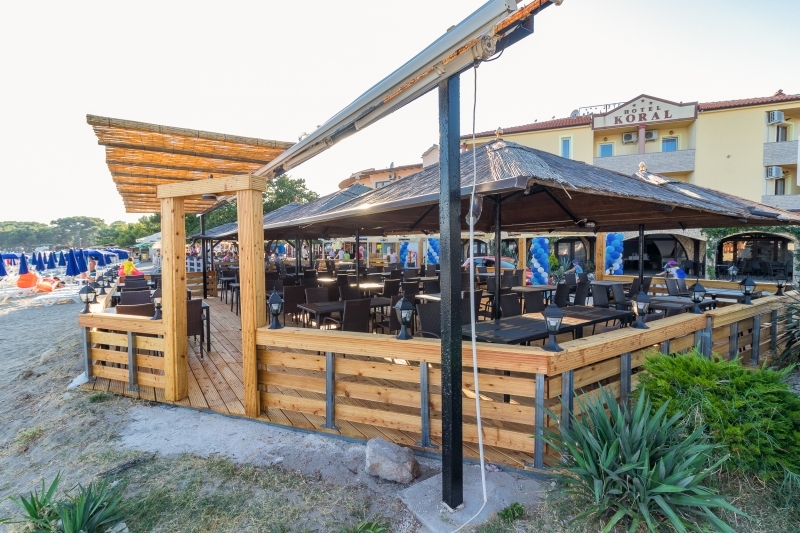 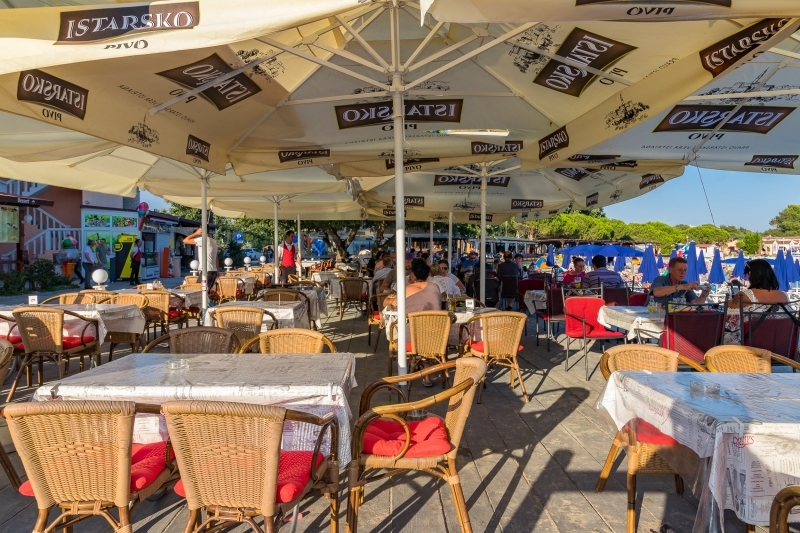 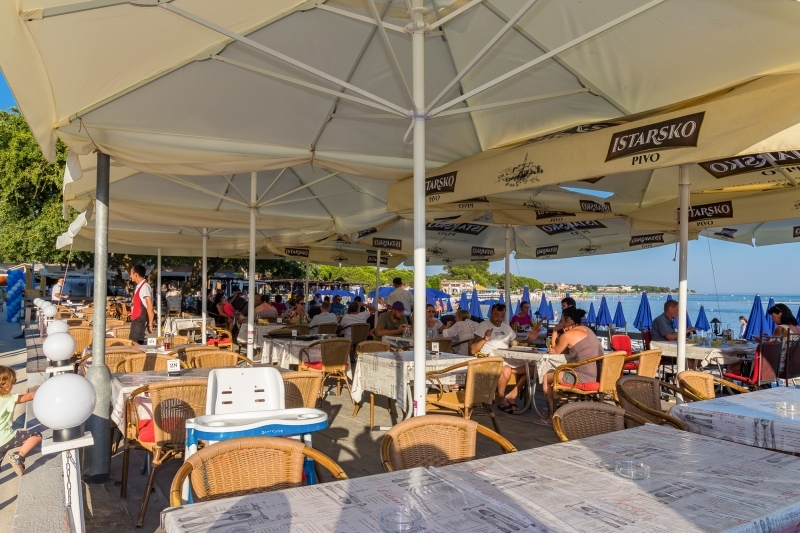 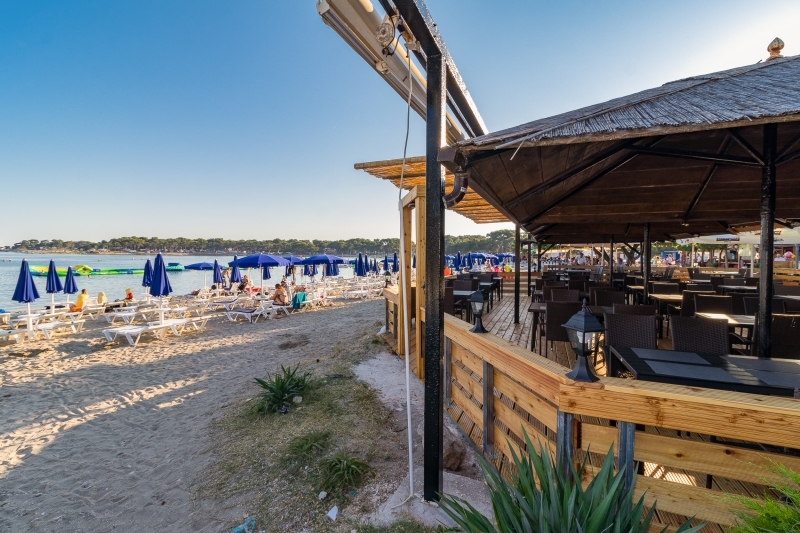 Hotel Koral is just one of many lodging objects in Istria which attracts visitors. 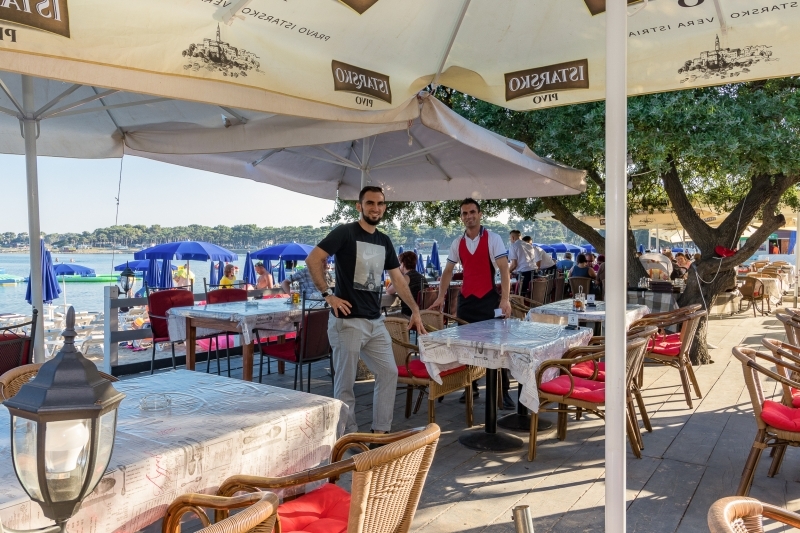 It is unique and recognizable by the gentleness of the picturesque landscape and the warmth and hospitality of its hosts. 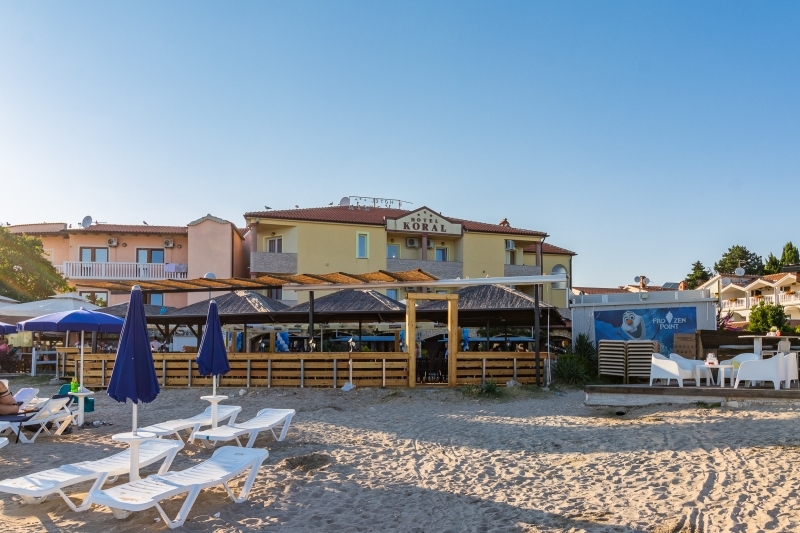 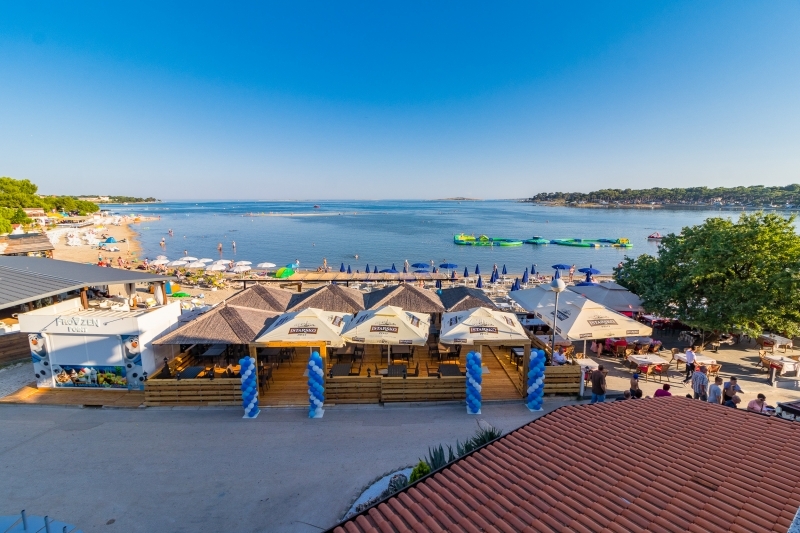 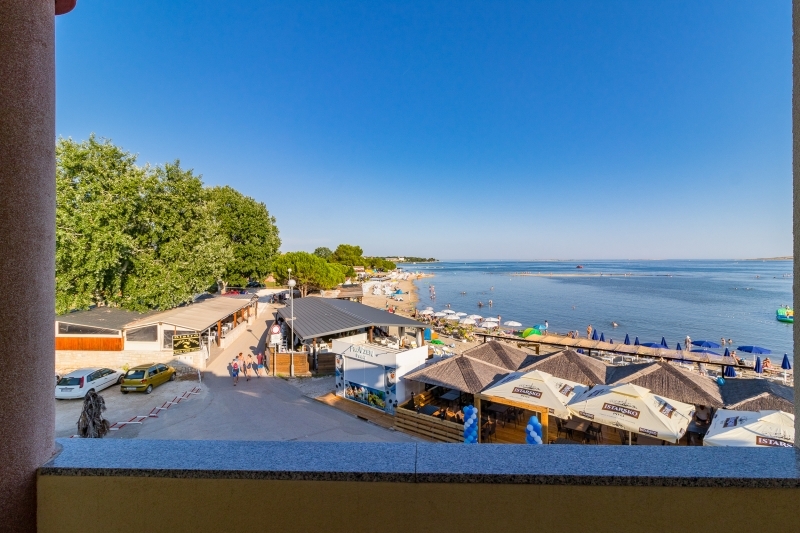 This is a brand new cozy family hotel, situated in the heart of the Medulin bay by the sea so that its south side is touching the beautiful sandy beach. 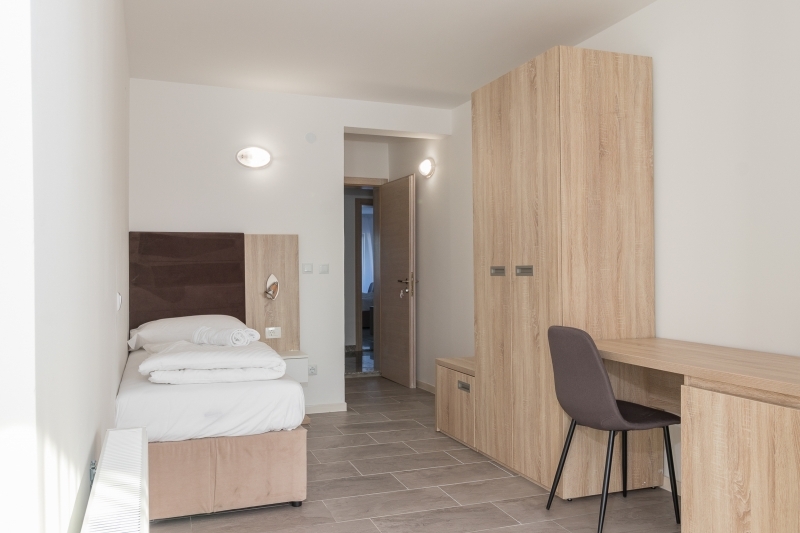 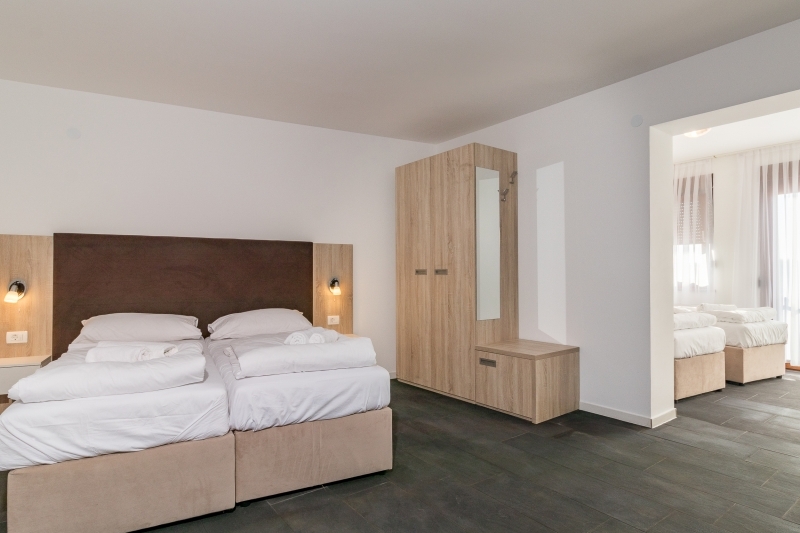 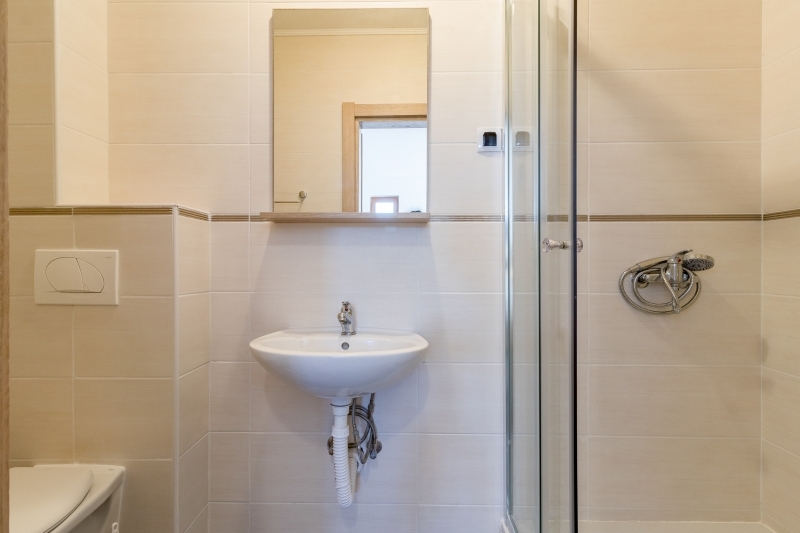 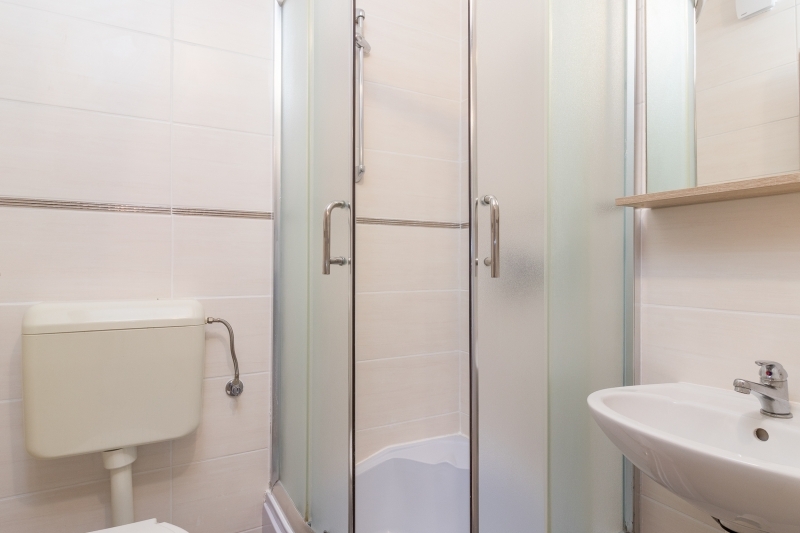 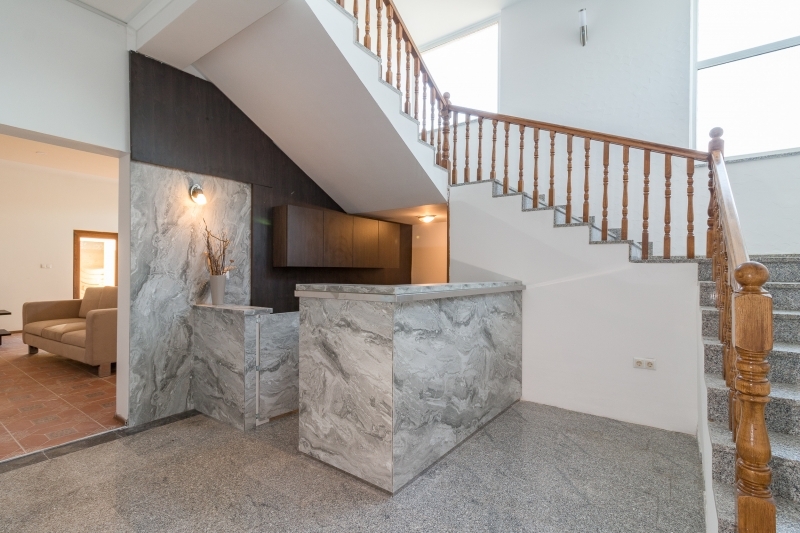 The hotel has 18 rooms in total: 10 double rooms; 4 studios 2 +2; 4 studios 4 +2. 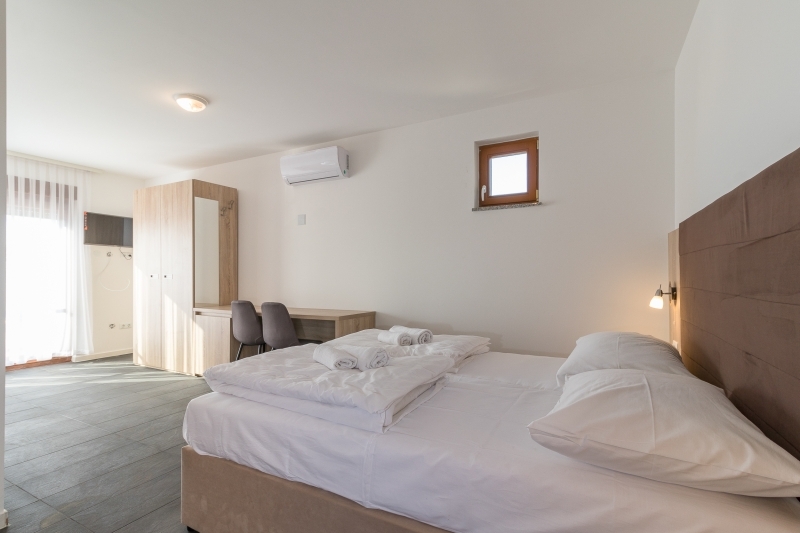 rooms are comfortable and luxurious, with individual bathroom / shower, air conditioning, hairdryer, satellite / dish TV, phone, Internet, etc. 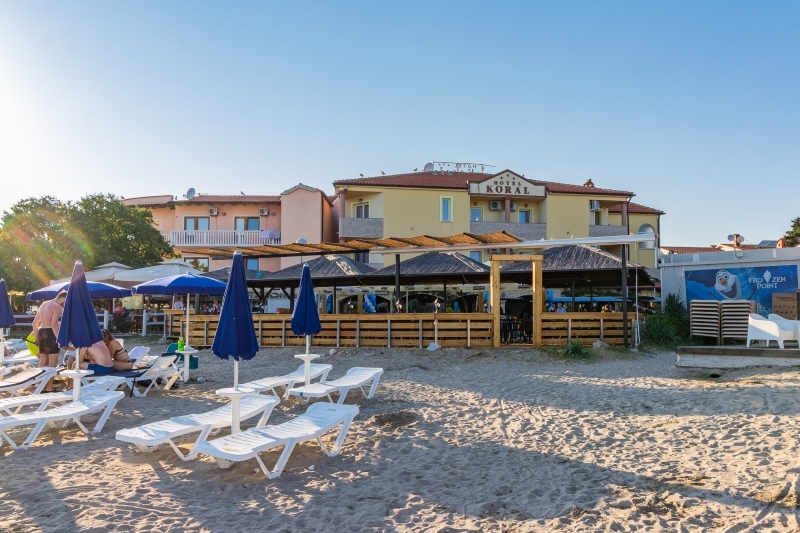 The dominant part of the hotel is our restaurant with a large fireplace and terrace overlooking the sea. 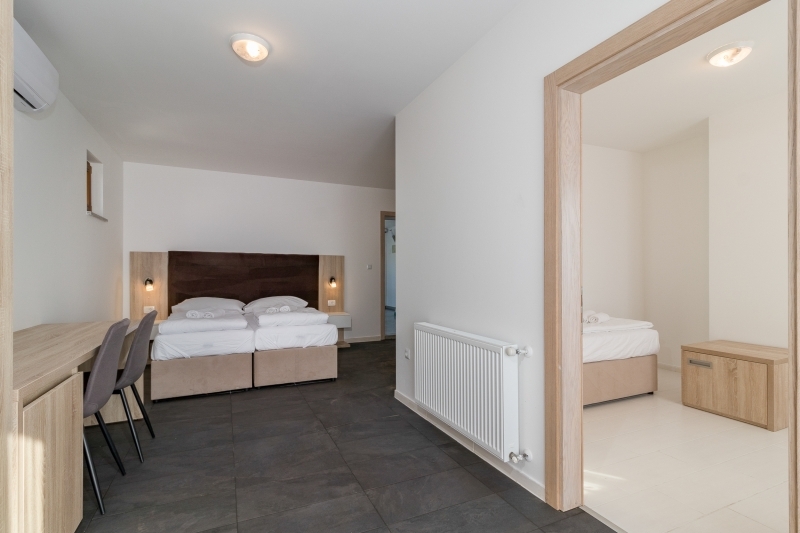 Relax in our rooms with terraces and balconies overlooking the sea. 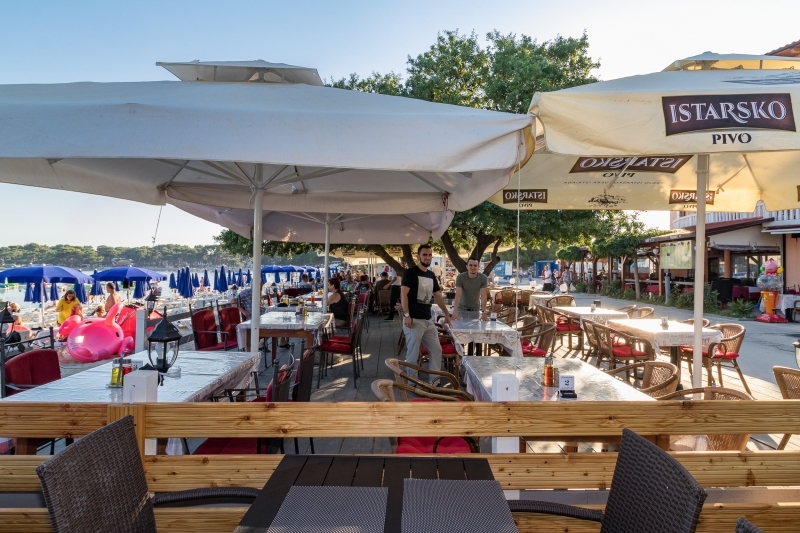 With beautiful sunsets and pleasant nightly atmosphere enjoy our local wines and culinary specialties. 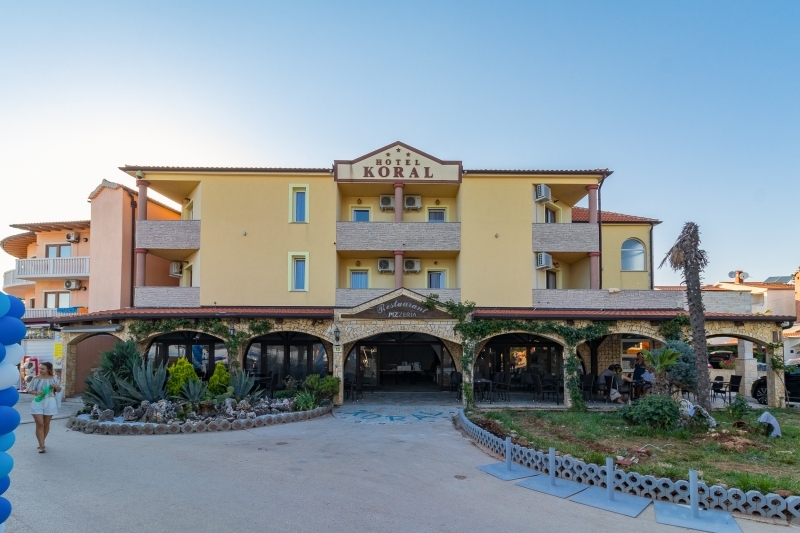 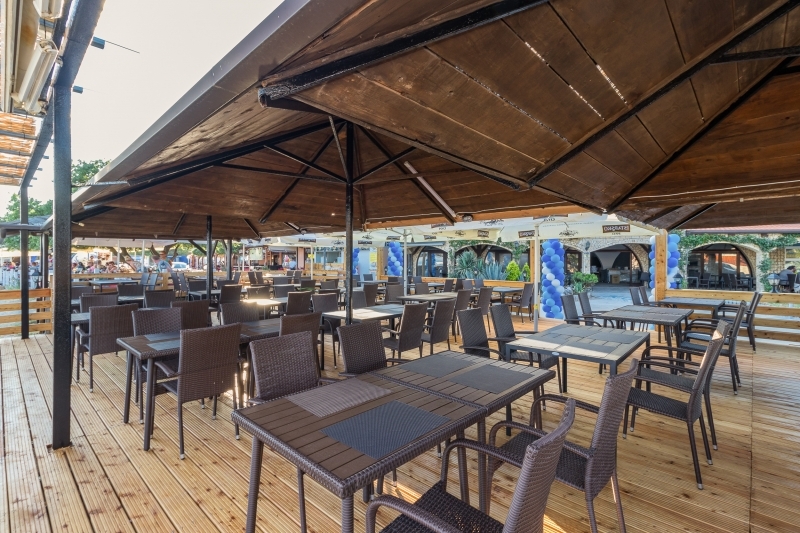 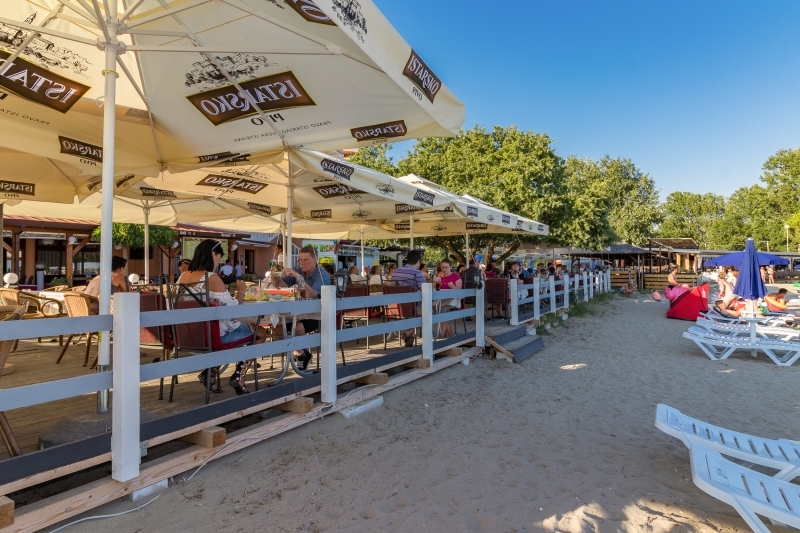 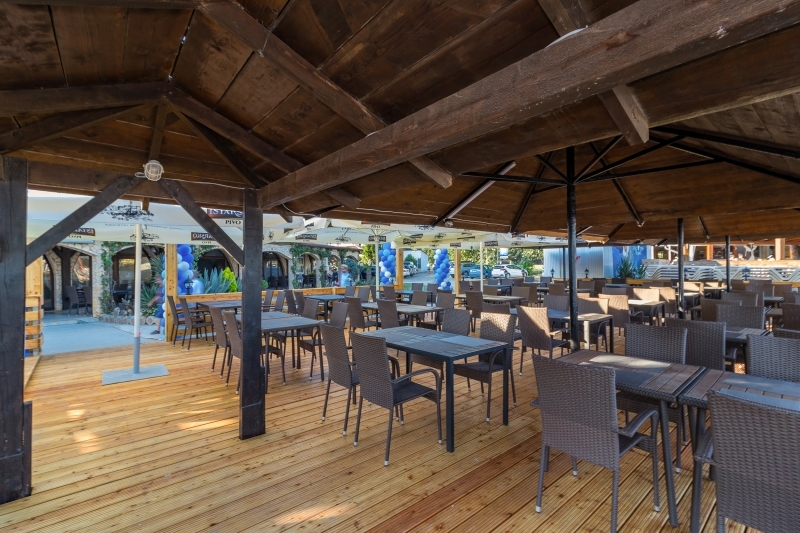 Whether your coming to Medulin is motivated by sports and recreation, sea and summer, business meetings, special holiday or you are just passing by ... Hotel Koral is there for you throughout the year.